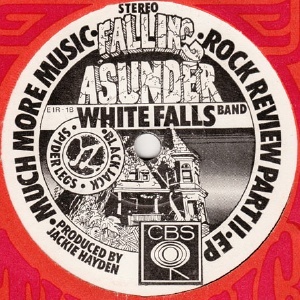 The title of this EP isn't clear but it's usually referred to as the Falling Asunder EP, after the tours of the name name. 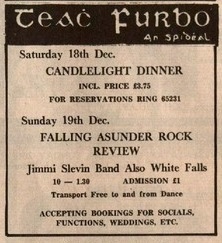 There were two Falling Asunder tours held in Ireland in 1976. The first tour in July featured Nightbus, Cheap Thrills and the Boomtown Rats. 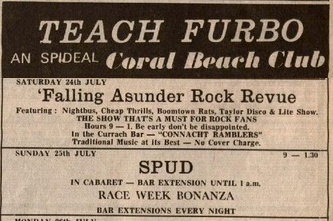 The first Falling Asunder Rock Review listing for Teach Furbo, Spiddel, Galway on 24 July 1976. The second tour was in December 1976 and featured the Jimi Slevin Band and the White Falls Band, and this EP was issued in conjunction with that tour. This is why the subtitle is "Rock Review Part II". Note there was no vinyl counterpart to the earlier tour, i.e. there is no "Part I" on vinyl. 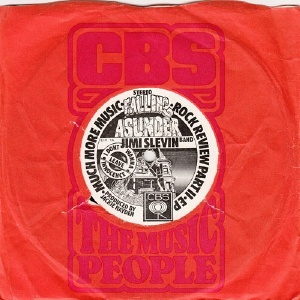 The "Much More Music" title refers to Smiley Bolger's series of gigs at Moran's Hotel in Dublin, where all of these bands played. Produced by Jackie Hayden.